The automotive industry is a competitive market in which manufacturer's are aggressively competing to engage audiences. Many car maker brands are using music in their marketing strategy, let's try to decode and explain this trend. Consumers have become emotionally disconnected and indifferent to brands looking for their attention. Branded entertainment allows these marketers to subtly become a part of the content itself; this deep engagement resulting in heightened affinity. Marketers have become acutely aware that music continues to be an effective way to create personal and meaningful affiliation's with desired consumers and automotive brands needs to differentiate, to attract them. That's where music should be thought of as a language and a culture that links brands to fans. Integrating music into their branding to form part of their market strategy is becoming competitive in order to create a tangible association with the consumer on an intuitive level. For generations, the experience of driving to a particular song, can conjure up an array of memories. Music evokes memories and songs can embed into your memory like a photograph. Thinking back, how amazing was it when people remember every lyric to a song but cannot remember their science homework or english lessons in an exam. It permeates into every ebb of their inner soul like no other pass time... (am I laying it on to thick!)... but it's true! How many times would a song in the car be playing after a bad breakup with the significant other and every lyric was about that relationship, or that evening out to a club and a song was played via radio or CD which got the disco lover into the right mood for a night out on the town,.. and it worked... right?! In a fun advert which encapsulates the pure essence of singing in your car comes an advert entitled 'The Musical City' from Toyota Yaris Hybrid. It takes a group of city dwellers who are encouraged to sing in their car whilst navigating through the streets of Prague. With the street names being replaced with classic pop and rock songs, the drivers are enticed to take a corner and choose what song they wish to sing along to. Music can differentiate a brand from competitors and can raise you to euphoric heights. When executed well emotional branding can trigger responses in the consumer that desires the core product. Different types of music is consumed when exercising, driving, working, travelling, relaxing or even cooking! Music should be considered in a marketing campaign as part of the whole product experience given that any activity can be associated with a tune. By integrating music as a fore thought as part of a branding strategy it can create an emotional imprint on the consumer more than any other pastime. With music comes a genuine engagement to the core product subtly, without bulldozing the set agenda in people's faces. The successful factors of the four E's are achieved with music branding "Emotions, experiences, exclusivity and engagement." 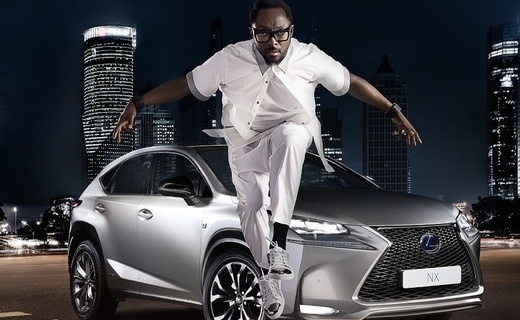 The new Lexus's music strategy and Rapper Will.i.am is called 'Dreamin' about the Future' utilises music as the main star of this advertisement. The campaign evokes a sense of luxury which is reflected throughout the whole music video and is enticing the consumer who is into technology and an advanced futuristic world which you will have if you buy the 'Lexus'. This type of union between musician and brand is a perfect fit in every which way, musically and innovatively and technically. With Lexus heading towards the future in their new quest for a more cutting edge vehicle and Will.i.am being notorious for his love of sharp lines and sporty design, it's a collaboration made in partnership heaven. The music connects the consumer to the vehicle emotively and is geared at the younger edgier consumer, therefore the angle of this advertising campaign seems to be one which is ticking all the correct marketing and strategic boxes. "Whatever I do, I want it to be striking," Will.i.am said. "I want to innovate and revolutionise, and my partnership with Lexus on the Striking Angles campaign is no different". Will.i.am "I want to innovate and revolutionise, my partnership with Lexus is no different"
Music fans are noted to be some of the most loyal fans in the world, however even these passionate aficionados do not want to pay to listen to their favourite music. They don't care about boycotts such as Taylor Swift's dispute with Spotify. At the end of the day fans are loyal to the music not the musician, and therefore this is the space where brands need to come to the party so to speak. Brands should look at this void as an opportunity to be the provider of free music. It has been widely reported now that music streaming is a potent marketing tool, as displayed here in our infographic. "Tuned Global pointed to Spotify’s Music Streaming Brand Impact Study released in January, which found 61 per cent of music streamers were more likely to recommend those brands to a friend, while they were twice as likely to be stronger brand advocates and emotionally connected to the brand." Con Raso MD of Tuned Global. 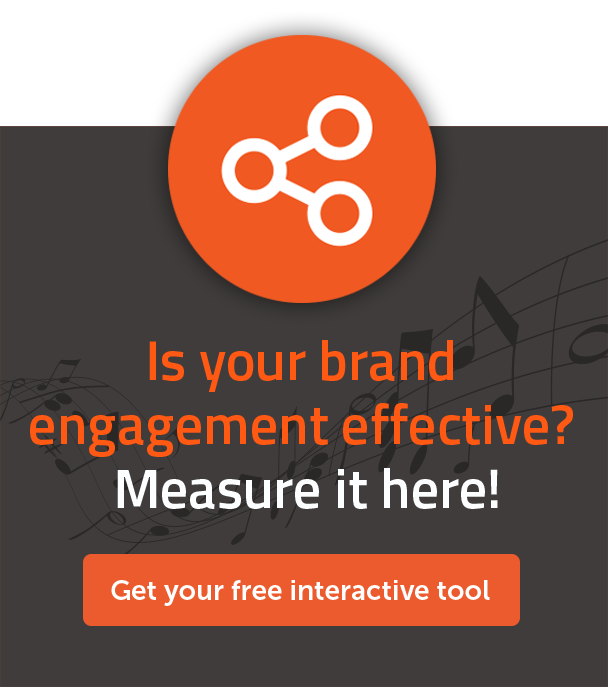 Marketers need to pay close attention to this data to convert these music fans into brand loving fans. “How good does that sound” is the motto for Volkswagen's new marketing campaign which sees none other than bad boy of pop Robbie Williams be the face for this new advertisement. The collaboration between German car maker and former front man of Take That, has him being their new "marketing director." All avenues of social media were opened up for this new digital campaign which also sees them pairing up with Spotify for the first time ever. Consumers and music lovers will be invited to enjoy exclusive access to the “Say it with a Playlist” function. An individual playlist is generated based on personal messages which the music aficionado can send via Facebook or e-mail. What alternatives are there to Spotify and Pandora in order to build more loyal relationship's? The Peugeot example. Car brands such as Hyundai, Mini, Honda and VW have all run creative campaigns (we're not referring to ads campaigns/media) with Spotify. What we're talking about is differentiation? What is driving all these brands which normally try to differentiate their communication to work with the same partner on similar campaigns? Firstly, they all understood that music is a strong opportunity to engage their customers, secondly, Spotify is a music market leader that helps them to reach a wide audience of music lovers. These co-branding campaigns with the main music market solutions like Spotify or Pandora might be a powerful awareness campaign. But what about building a long-term relationship with the consumer thanks to music? 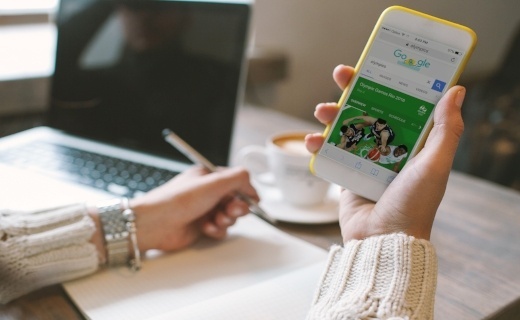 In the end, these brands drive traffic and all its data directly to Spotify and lose the connection back to their customers and the valuable information which is attained via these campaigns about their client. These streaming platforms leaders have created a trend and educated the audiences about digital music. Car makers now need to take advantage of that and to differentiate their strategy and to interact with their customers. 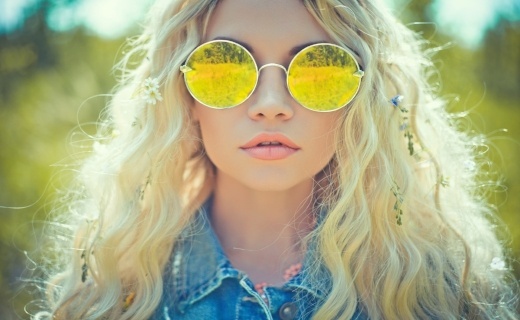 One option is to work with emerging music services such as SoundCloud or Rdio. “SoundCloud is the new cool kid, Spotify on a recommendation isn’t sizzly any more.” said John Tuchtenhagen, svp of media at Digitas. However their brand offer is not completely effective yet and in the end the data and user owning issue is still here. 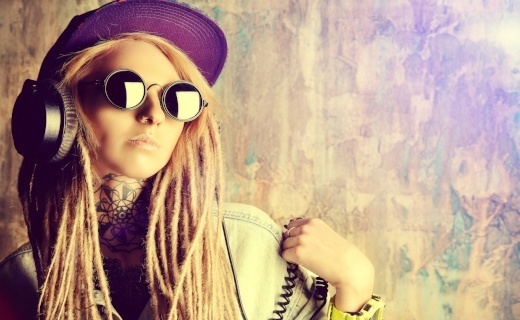 Another alternative for those brands is to create their own digital music experience fully branded, where they own the audience data and display their own target offers. "We don't speak about competing with Spotify. 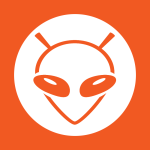 We speak about a new engagement platform, fully integrated into the brand's digital ecosystem, which is connected to its CRM system to create a long-term, valuable and rewarding relationship with the customer, by offering them the music they want." Said Con Raso, Managing Director at Tuned Global. Seeing that opportunity, is the French car manufacturer Peugeot who have launched their own music platform to target younger drivers. Though the service will be available on the Peugeot 108 only, it is also a music streaming platform which is available to anyone, not just the consumers of the car maker's. 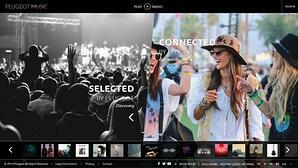 By creating their very own music platform, peugeotmusic.com, which can be accessed with your smartphone or tablet, the music solution proposes playlists which are designed to reflect the brand's core values. Peugeot hopes to offer music lovers a unique experience and drive customer loyalty. People spend almost 6.5 hours per week on average in their vehicles and music is one of the top 3 consumption habits that consumers respond to, it seems only fitting that the automotive industry is responding positively to this information and moving in this direction. Digital music can become an activator for car makers to get more information from their consumers while they offer them what they like and create closer and loyal relationship's. It's an interesting space to watch and see how they'll convert music-loving fans into brand-loving fans.